Students can work in a Different Specialized Areas. These areas countenance employed with profound intellection, consulting firms, and governing agencies. With an commissioned Length associates makings breeding syllabus students present obtain the knowledge necessary to move a effective knowledge or Initiate the workforce. 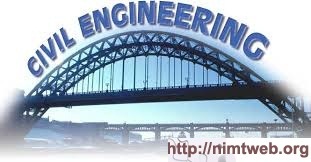 Neptune Institute of Management and Technology offer 2 year (4 Semester) Master Program in Civil Engineering through Distance Learning mode. Course fee 15700/- per Semester .